Thiis Pro First 100 letterbox is very stylish and comes in landscape format. It's body is made from powder-coated sheet steel. The door, which can be opened with a cylinder key lock, shines with many details such as a finely embossed envelope, a name badge and 4 round holes. Mounting material and fixings are included. 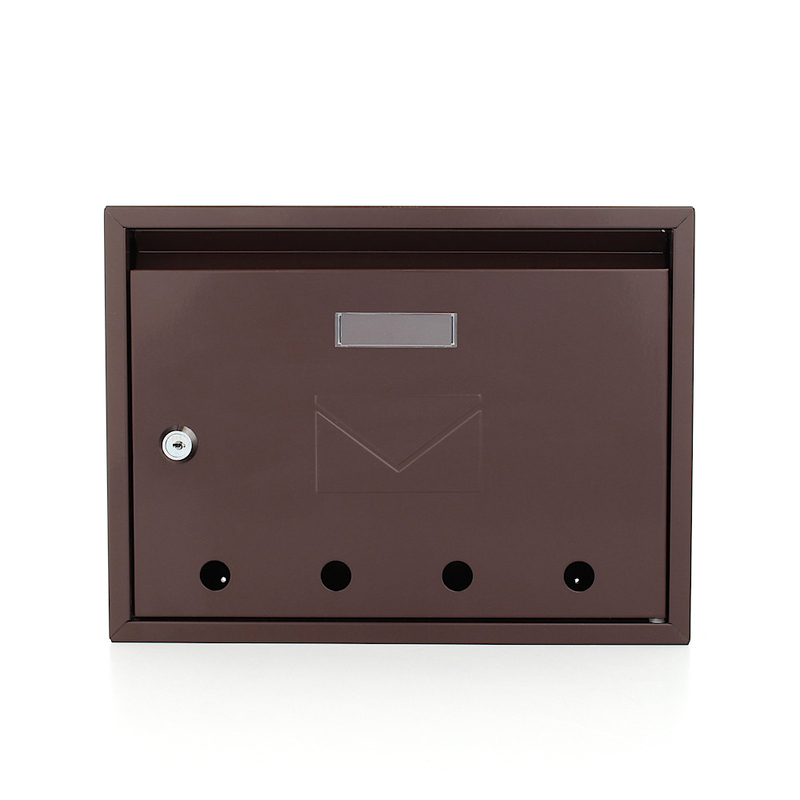 The Brown Pro First 100 mailbox is made from powder-coated sheet steel. Also has a unique designer envelope on the front door. Your own name badge is simply in the name tag holder, put it in the space provided and it is perfectly protected from moisture.